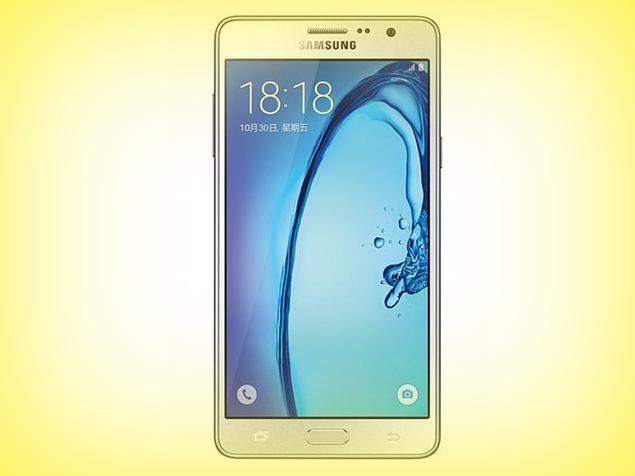 Samsung Galaxy On7 is now available at Flipkart under exchange offer. Buyers can get discount up to Rs. 6000 on purchase of this device at Flipkart. It is also available without exchange and is priced Rs. 10,190. Mumbai: Samsung Galaxy On7 sports 5.5 inch display and the resolution of it is 720 x 1280 pixels. Body dimensions of the device are 151.8 x 77.5 x 8.2 mm and it weighs 172 grams. The handset is backed by quad core Snapdragon 410 processor whose clock speed is 1.2 GHz. The processor is coupled with 1.5 GB RAM and the internal storage is 8 GB memory can be expanded via micro SD up to 128 GB. The handset comes equipped with 13 megapixel primary camera and 5 megapixel secondary camera. This handset also supports 4G LTE India brands. Other features are 3.5 mm headphones, FM radio and dual SIM. Battery under the hood is 3000 mAh and it is offered in white and gold color options. Samsung Galaxy On7 was launched in India in November, 2015. It is now available at Flipkart under exchange offer. Order will be shipped free of cast in two to three business days. Cash on delivery may be available. It is available in black and gold color options. One year warranty is offered for phone and six months for inbox accessories. Check the list of eligible devices that can be exchanged with Samsung Galaxy On7 at Flipkart. The old phone must be in working condition at the time of exchange. This entry was posted in Buy Gadgets, Price Drop, Tech on March 7, 2016 by Rakesh.